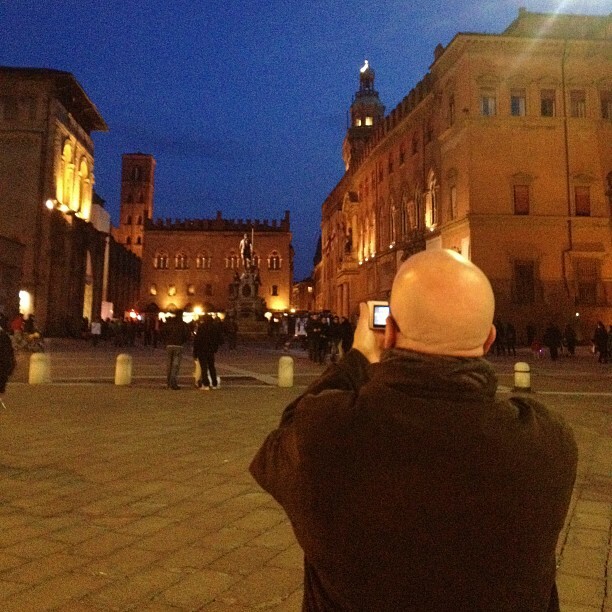 The Husband and I like to call Bologna “the Boston of Italy” which really sends the wrong message if you’ve ever met a drunk Red Sox fan, lived through the bus riots, or were the victim of a mass cover up by the Catholic Church. When I say Bologna is like Boston, I don’t mean the belligerent racist part that looks the other way at child molestation. I mean the part that has good museums and people who buy you shots at 2 am. 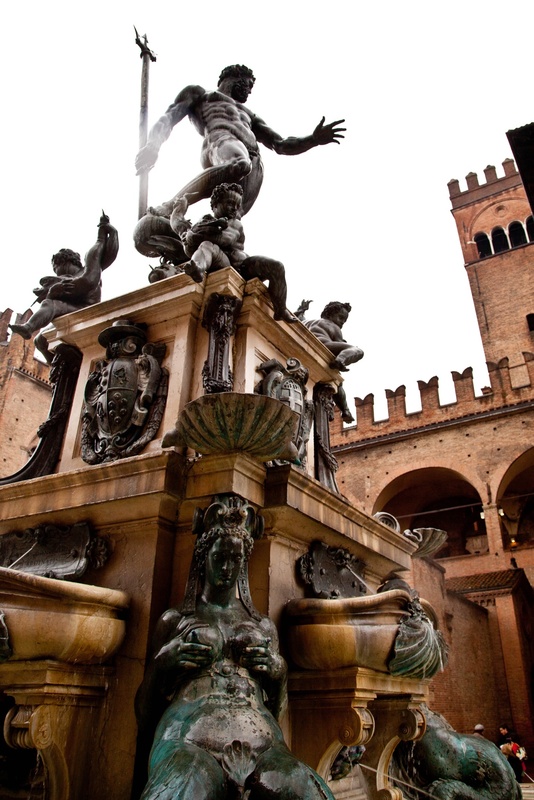 Like Boston, Bologna is a “second city,” one that is often skipped travelers’ first time around. I get it. It’s no Rome or Manhattan. But just a few hours away, it will sit there quietly for centuries, with its Universities and history and good food and good times. 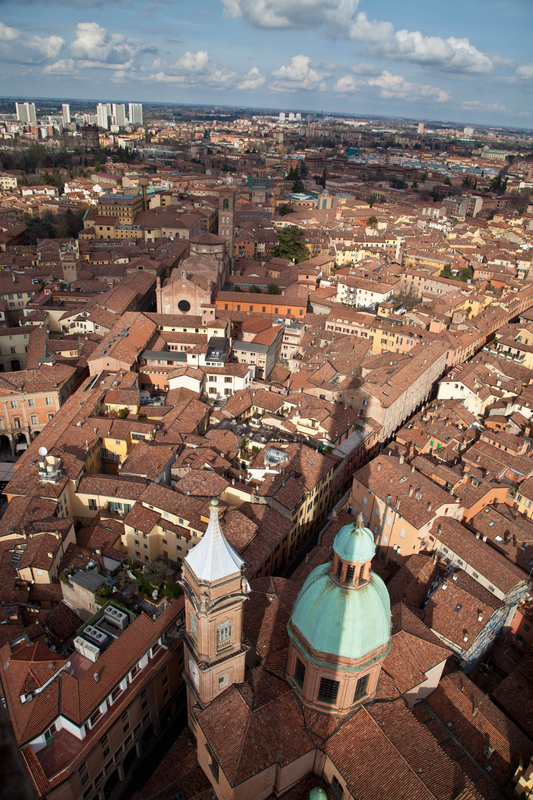 Known as “the red, the fed, and the learned” or (“La Rossa, La Grassa e La Dotta”) it’s home to the first university in the world and known for their food and left leaning politics. 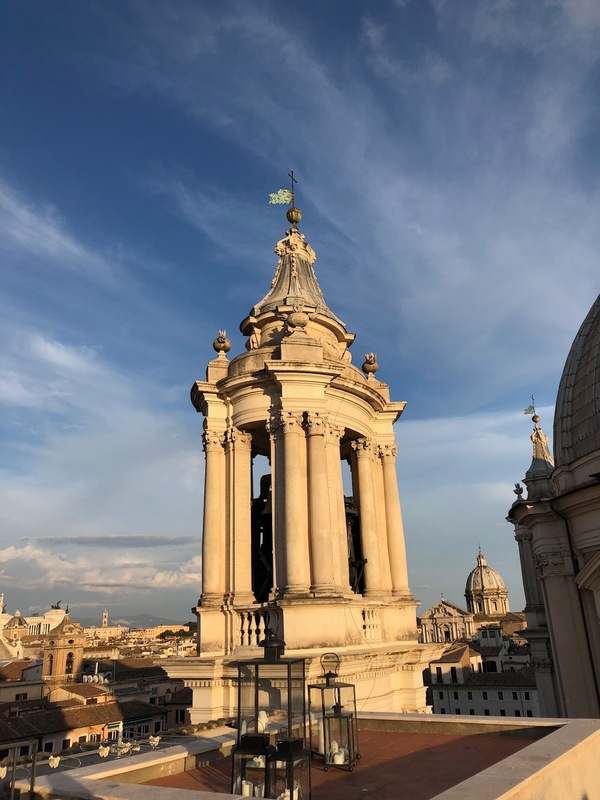 It’s also home to old churches, great architecture and majestic piazzas; a great place to sit outside with a glass of wine and plate of cheese and watch the people go by – most of whom when we went were Italian and therefore helped us to feel less like a tourist. Our first night in Bologna we were returning to our hotel after dinner. It was probably close to midnight. We turned down the small street our hotel was on, and across the street was a small café that people were spilling out of, drinking and laughing on the street. We went to open the door to the hotel only it was locked. And that’s when one of the guys from the bar appeared. He was short and stocky, with red hair that had a flower barrette in it. I probably wondered at that moment if I’d had too much to drink. Clearly one of us had. He pointed out to us that we were at the wrong door; the main entrance was further down. We thanked him and went inside. While we’ve been to Italy a lot, we’ve never made friends before, but on this particular trip we would make a lot. I feel like the first night in Bologna set the tone. When we finally went to pay our tab, I don’t recall ever being given one. What I do remember instead is that when we asked for our check, we were given shots of vodka. We don’t drink vodka. But we just looked at each other again like, “Are we going to do this?” And so that night, after a day of drinking wine since lunch, we finished it with vodka. No surprise, we slept until 11:30 the next morning, missing the hotel’s breakfast, which I would find out the next day was really lovely. Speaking of: we were sleeping and missing breakfast at the Hotel Metropolitan which I can’t say anything bad about. The location was in the center of town, walking distance to everything. 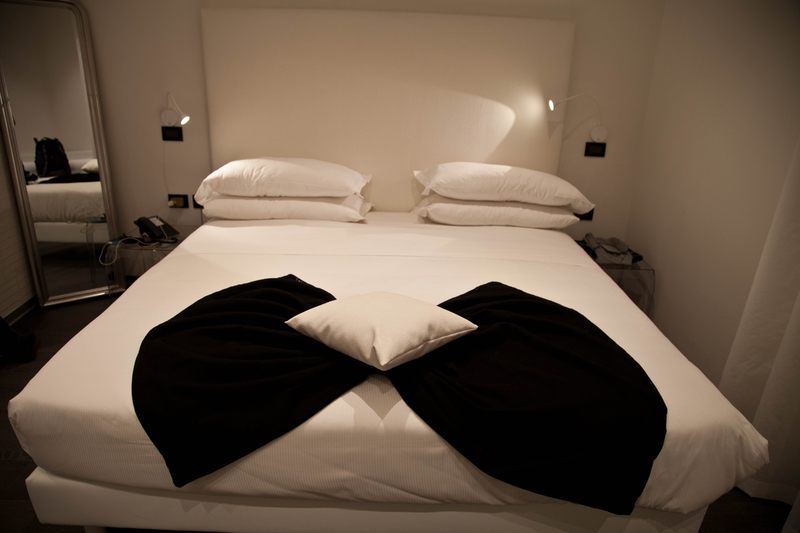 The hotel itself was decorated in a modern Italian elegance of all white. My favorite touch was what I came to call the blanket installation. It was a black blanket at the foot of our all white bed that every day would be artfully arranged in a different fashion. The hotel can also help you with parking should you be driving. The center of Bologna has restricted driving and you will need to leave you car in a garage a few blocks away and then walk to your hotel with your bags. You will also want to ask about a form that you need to fill out so that you don’t end up getting ticketed months later when someone looking at traffic cam footage sees that you drove you car through the restricted area. I don’t quite understand it all. I was lucky that I have a husband who does extensive research on banalities such as this, because the guy at the garage was zero help and we would have left without filling out the form. You can also reach Bologna by train. That may be preferable. 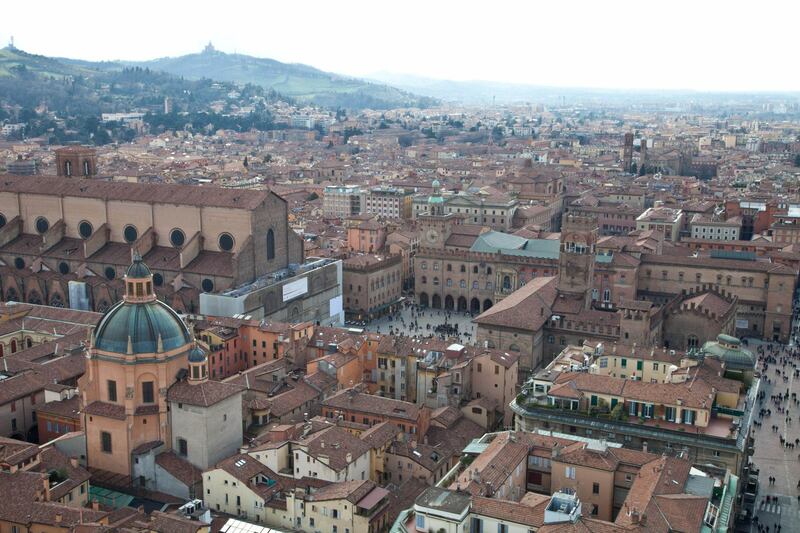 View of Bologna from the top of the tower. There’s a gigantic tower that you can climb for fantastic vistas of the city, or that you can send your husband to climb if that’s his jam and you hate heights. The good news here is that Bologna is a great walking city, even in the rain, being home to porticos on almost every block. The way I understand it, when they were looking for places to house the students of the University, they built out onto the second story of existing structures, this additional level now providing a sheltered walkway for everyone on the street. You can go blocks and blocks while it’s raining which will be useful if you want to shop for shoes while your husband is climbing stairs like a mountain goat with an expensive camera. 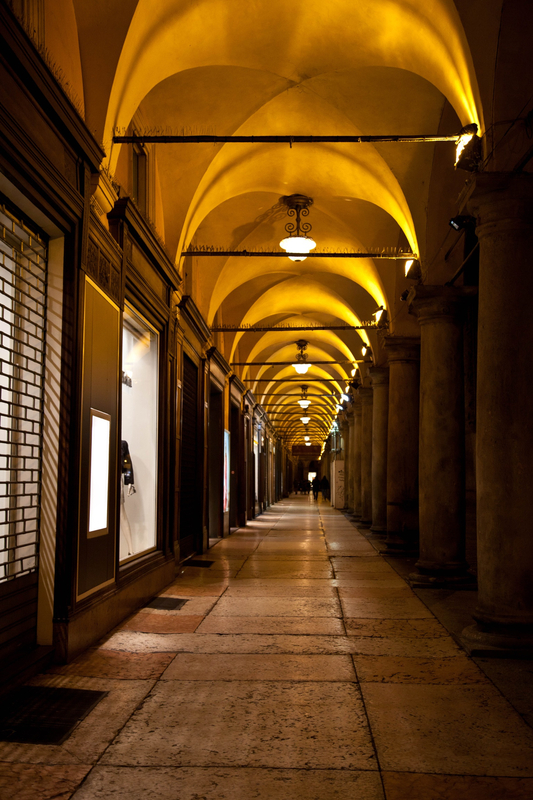 Porticos provide cover from the rain. 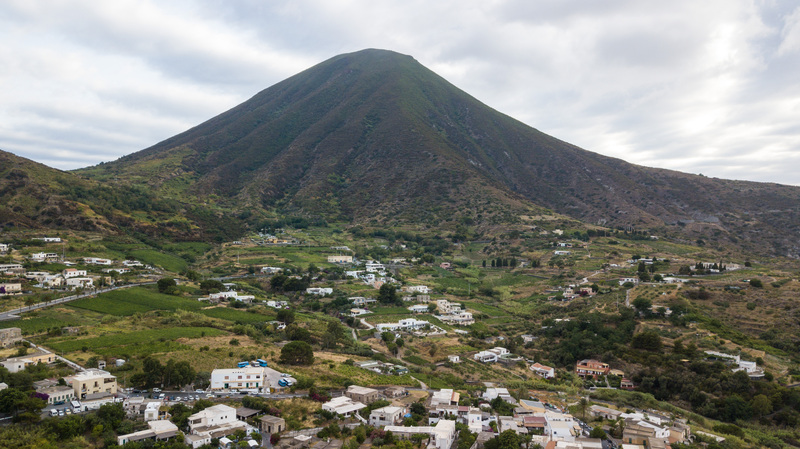 You can plot out your destinations – we went to the museum and the Church of the Seven Churches and The Husband climbed the tower – but we also had a lovely time when we just wandered around and discovered things, too. One day we made our way into part of the University that housed both one of the oldest autopsy rooms as well as a great exhibit of International illustrators. Afterward, we had a drink in a divey, rock bar called something about Infidels that was full of pornographic cartoons and the first of many somewhat indifferent and belligerent owners in Bologna. about how much we liked. Maybe because that was the night we drank vodka at 3 am. Looking back on my notes, the meal was lovely. The Husband got the passetelli in brodo and I had a tortellone stuffed with the most delicious, rich, creamy ricotta and then finished off with a truffle sauce. 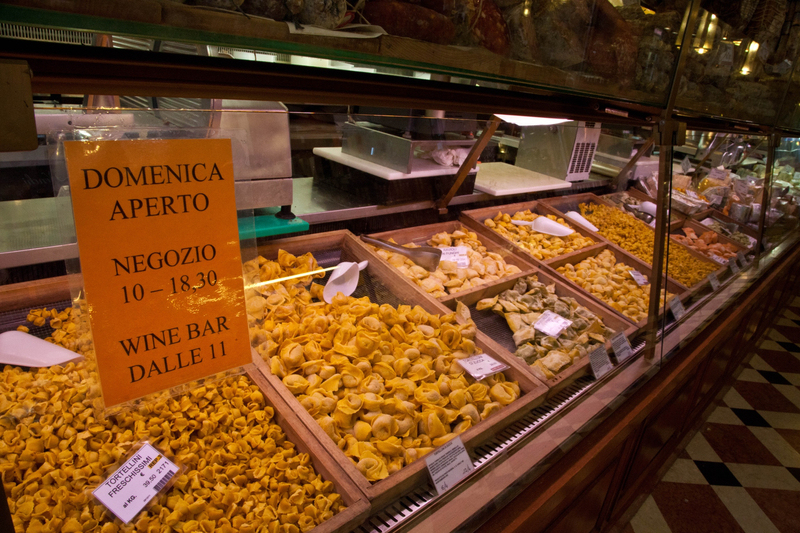 (Tortellini and the larger tortellone are the big pasta in Bologna.) They also asked if we wanted to sit in the “piano bar” which we said yes to without quite realizing it was actually more of a “synthesizer karaoke bar”, but it was fun anyway because it meant that actual Italians were eating there and that’s always a good sign. Maybe the meal that blew me away the most was the cheese plate at Tamburini. We had already had lunch, but stopped at their outdoor café for a glass of wine, or maybe it was a bottle (we drank a LOT in Bologna, see Boston above) and we had to order a cheese plate because it looked so amazing and it was probably the best cheese I’ve had in all of Italy, and I was so mad that we’d had lunch and couldn’t finish it and I took what was left with us to our next destination the following day. 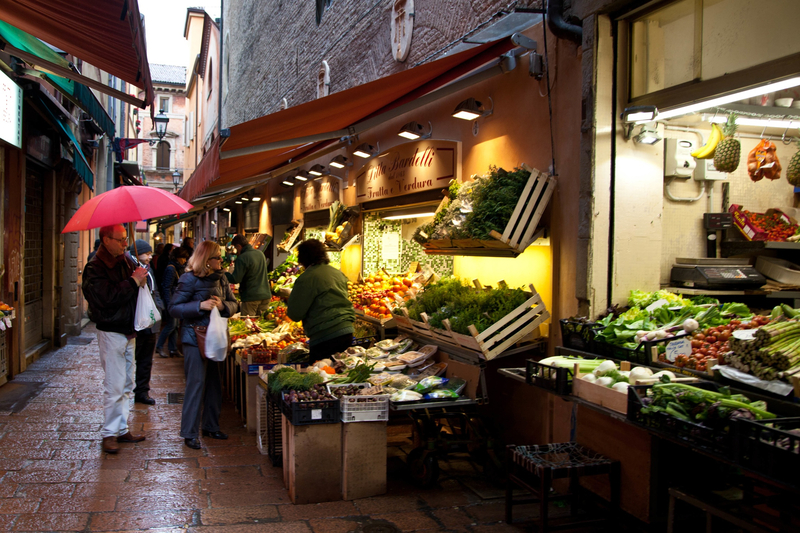 being a great way to save money, Bologna is one of the best places to do this, having a large outdoor market of fish, vegetables, and other culinary treats. Another great thing to do is to visit nearby Modena, where they make balsamic vinegar, including the balsamico extra vecchio, which is 25-30 years old and a real labor of love. 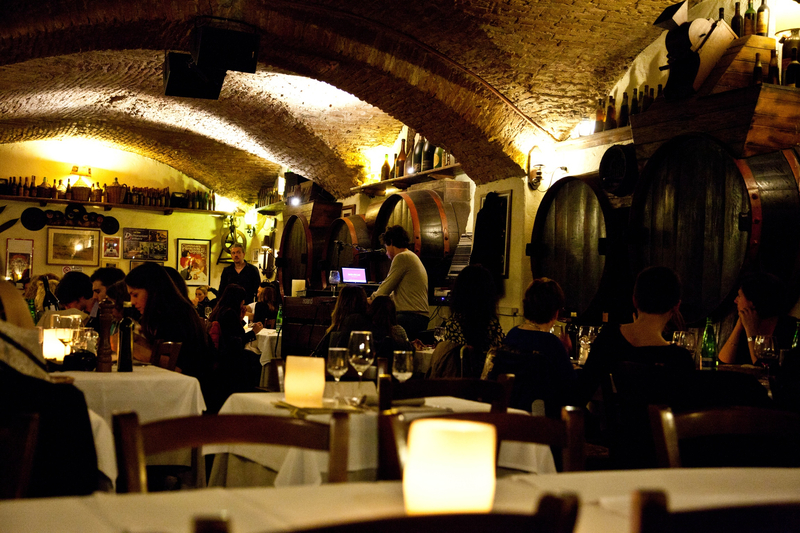 We toured the Pedroni Acetaia and got to eat lunch there, as well, which was a wonderful experience. Il padrone doesn’t just make you turn your phone off while you eat, he then locks up everyone’s phone, as well. And heaven help you if your phone goes off while locked up. He will know you ignored his instructions to turn it off, and on the day we were there he went around to every table looking for the corresponding key to the offending box. Also, turns out Modena is a great town! It’s cute and stylish with a thriving café and bar scene. And it’s home to a 12th-century Cathedral that is a UNESCO world heritage site. 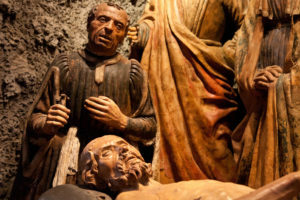 But also, about 500 feet away, is San Francesco, a smaller church known for its terra cotta statues, that The Husband would never have seen if he hadn’t met a church nerd in the cathedral who told him he really had to check this one out. We spent one night in Modena in a really charming place, Hotel Cervetta 5, that unfortunately seemed to suffer from a lot of street noise all night. And we ate dinner at Fantino, which is a meal we talk about to this day. The waiter who was probably also the owner said to me, “Sono la carta” “I am the menu” and gave us only two options for each course, which was perfect because we each chose one. There was a tortelloni in butter & sage and a tortellini in brodo. (I told you, it’s the big pasta there.) Our second courses were ribs braised in Lambrusco and a chicken cooked only in balsamic was amazing and perfectly glazed and I try to recreate at home to this day to varying results. And then potatoes! Always with those potatoes in Italy! Bologna and Modena are in the province of Emilia Romana, which is also known for having some of the best food in Italy. (Again, how is this even possible?) 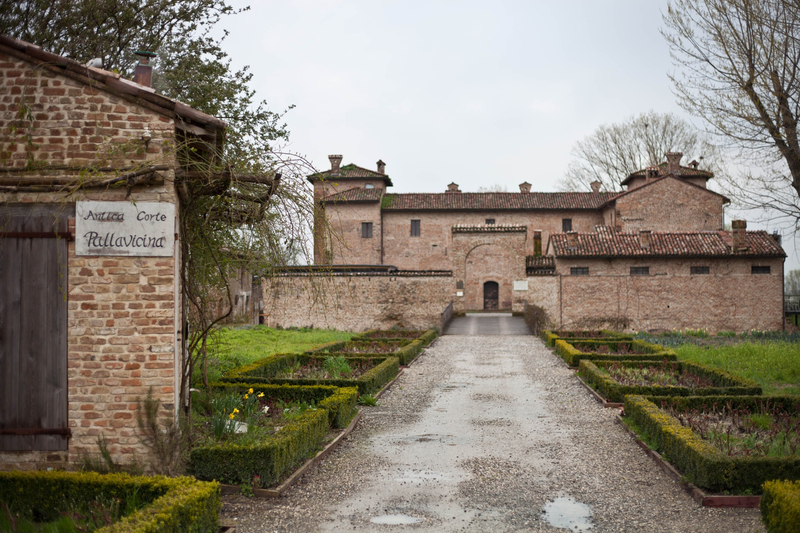 If you want to get out of the city, we also stayed 3 nights at the Antica Corte Palla Vicina, an old castle turned hotel and Michelin starred restaurant, complete with a moat. This is a great place for foodies, not so much vegans. 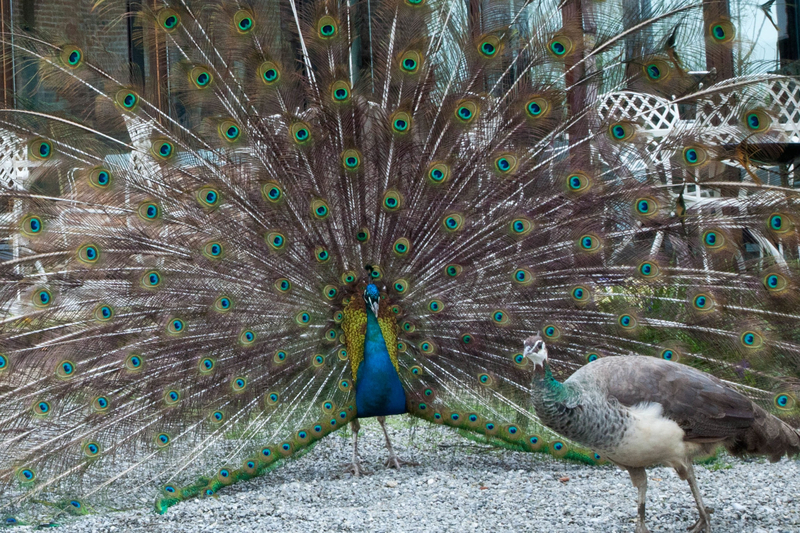 At Pallavicina you will see and smell ox and other animals walking around outside your room and they may be dinner that night. Likewise, the chef here is world renowned for his culatello, a premiere prosciutto that is cured right in the basement of where you’re staying. 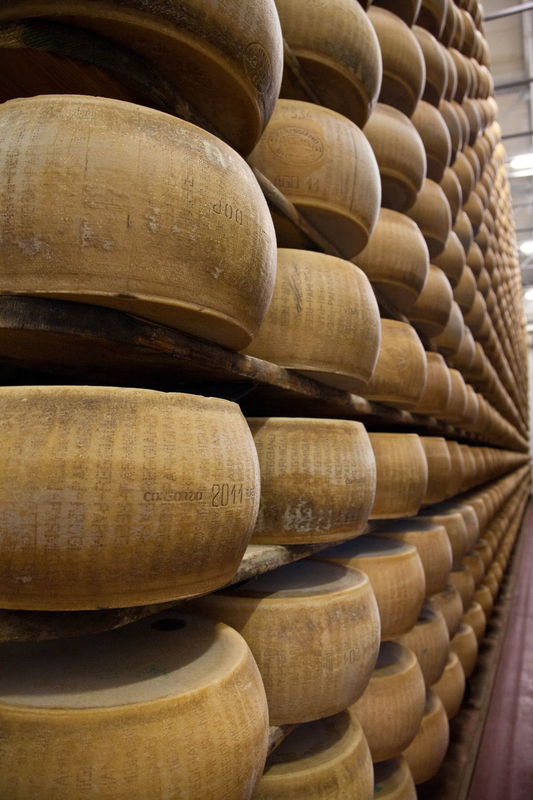 In addition to touring the basement the hotel can also set up tours of local cheese factories and wineries, too. The restaurant at Palla Vicina is the most perfect mix of the old architecture with the modern and as a result you dine in a light-filled room with views of the surrounding scenery on the banks of the Po River. The wait staff is impeccable. And the food is outstanding. In addition to having plenty of the culatello that it’s known for, we couldn’t get enough of the delicate soffiti, a small, delicate cheese dumpling, in brodo. restaurants in the tiny town of Zibello, that’s how good the food is. We went to Stella D’oro in the offseason and the chef himself waited on us. Yes, the Michelin starred one. Our trip broke down a little bit here. After waking up early the first morning to a decadent breakfast so that we could tour the cheese factory and the winery by lunch (The cheese factory had to be done early because of the cows, the winery, well why not? We were already up.) We overslept the next day so egregiously that they had to wake us up after noon because the maid couldn’t get into the room. (To be fair this was after our lost weekend in Bologna.) After that, we were at a loss for what to do. We borrowed bikes to ride into the next town only when we got to the restaurant that we had researched and wanted to eat lunch at, it seems we had failed to research that they would actually be closed the day we went. So we rode back to the hotel. The chef himself (again – Michelin starred) had brought the bikes out for us with explicit instructions to not lose the lock or the key and so of course what did we do, we lost the key! I don’t know how it happened. The Husband and I suffer from a crippling amount of OCD so when someone tells us not to lose something, we really go out of our way to make sure we don’t. And yet, the key was gone. We road up and down the same stretch of road looking for it, thinking that perhaps it had bounced both out of the lock, out of the bag and then out of the basket we were carrying it in. No luck. We had to go back, hanging our heads in shame, and tell a Michelin-starred chef we had lost his key, and missed lunch, (and we already slept through breakfast) so could his staff prepare us a plate of cold meats and cheese and, oh yeah, a bottle of wine wouldn’t go undrunk. Feeling like losers who had to do something useful we then drove into Busseto to go to the Verdi Museum. statues. 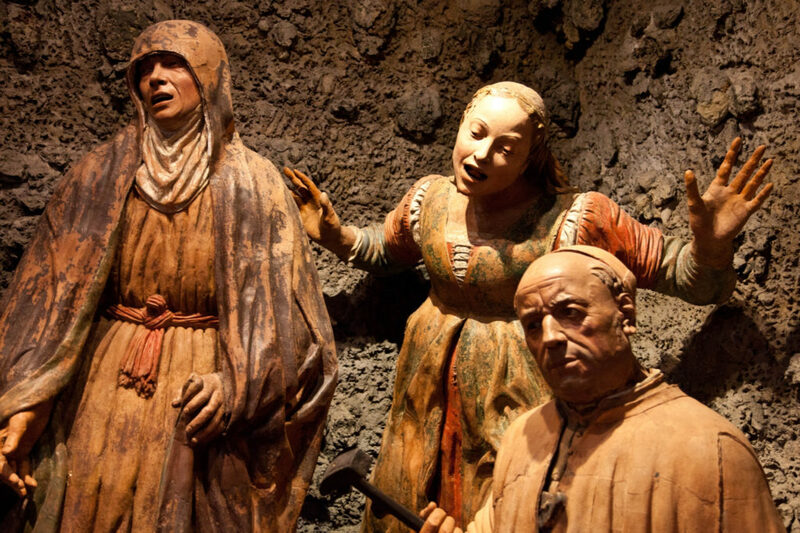 I know, what is it with these terra cotta statues? Well, they’re amazing. 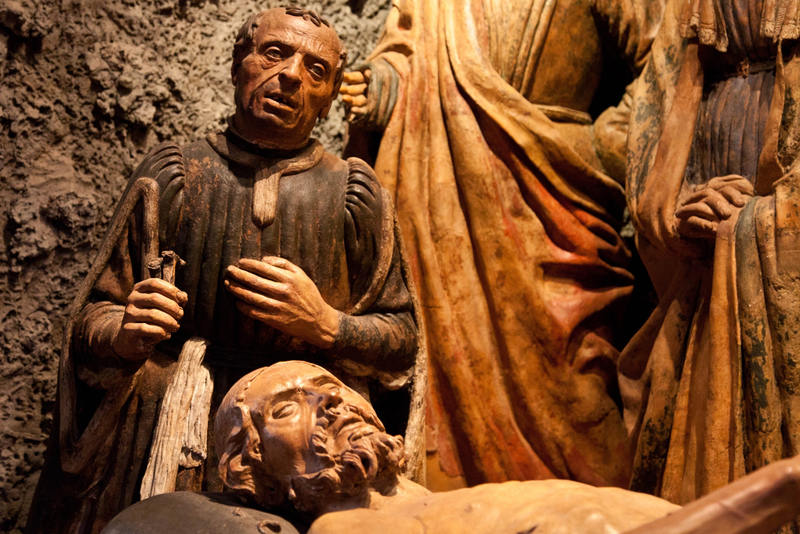 It was the scene of Christ’s death, only two of the statues were modeled off of actual patrons and the realism is scary. 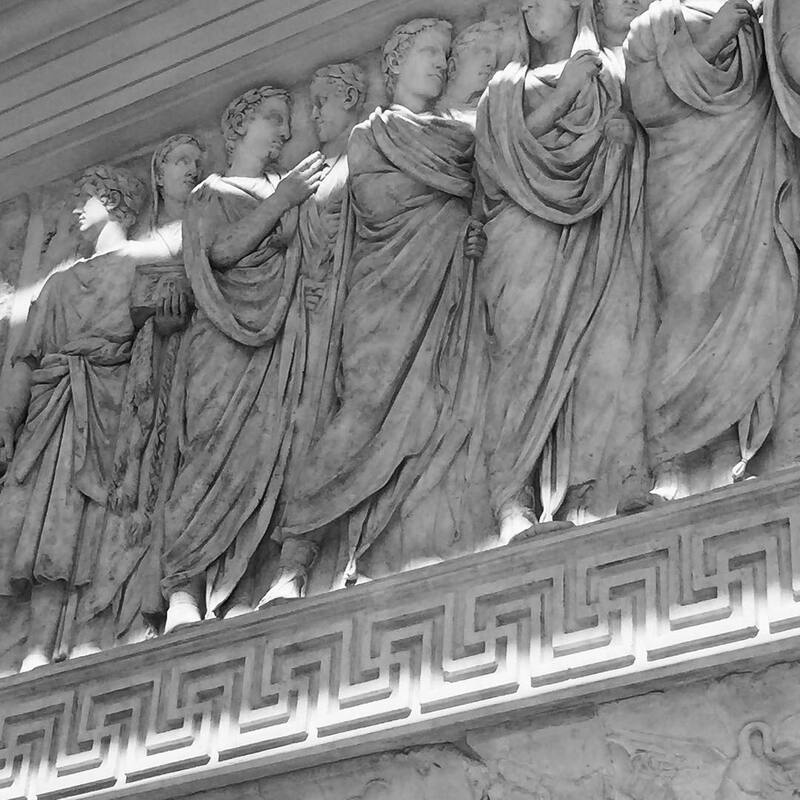 They’re over 600 years old and look like a photo. It was a unique experience, not just the statues, but having the man who pointed out to us what we were missing. There are several places where I could have left a message for you but decided to do it in a happy place for both of us. As a woman who speaks up (and often pays a price for it), I can appreciate how incredibly frustrating and aggravating the last week has surely been for you. You’re trying to fight the good fight and get silenced. Meanwhile, horrible people are thriving and their voices grow louder. I just hope you can block that out and focus on the messages of support from so many people who appreciate the intelligent, thoughtful discourse you’re bringing to an otherwise crazy conversation. 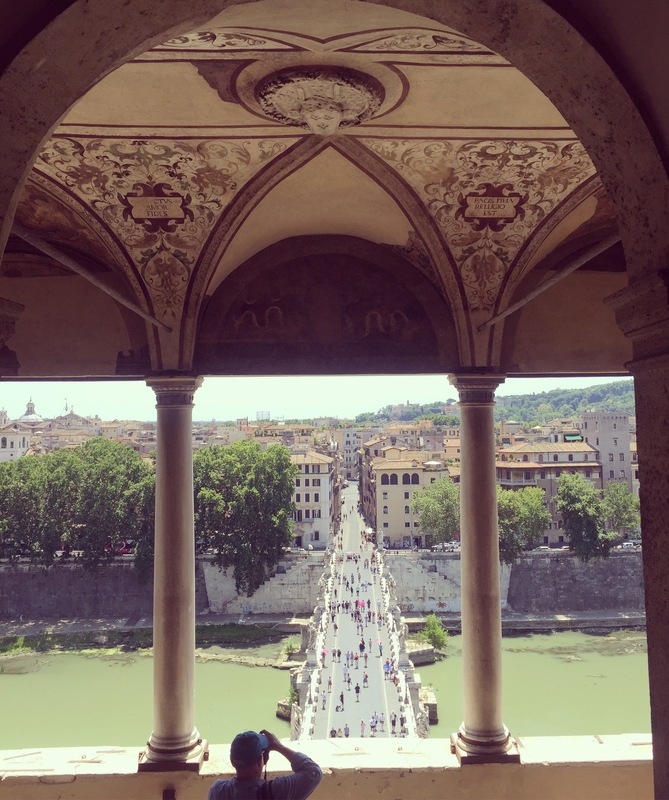 And I hope you have another trip to glorious Italy on the horizon– you certainly deserve it and I could use a little more boot camp to plan my next trip!